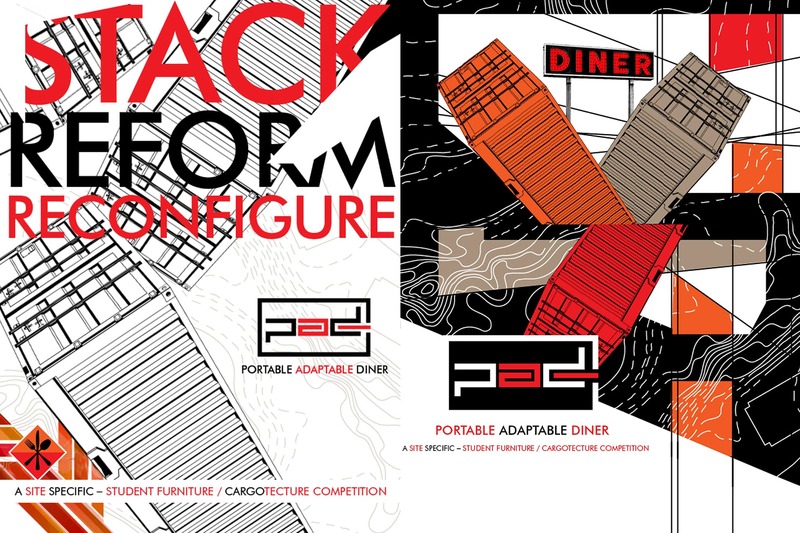 PAD | Portable Adaptable Diner, a creative competition inspiring students to create a mobile diner or restaurant space housed inside a cargo container. Branding inspiration stems from the world of possibilties set forth by cutting, stacking and reconfiguring these rectilinear architectural building blocks into a newly re-imaged shapes and structures. 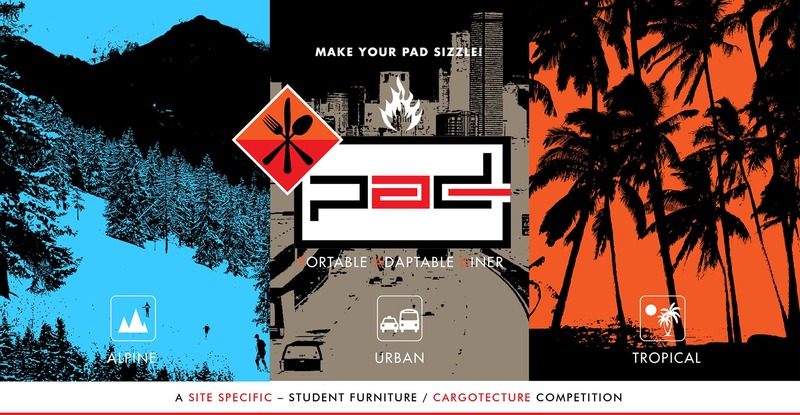 Make your PAD sizzle!